Double-click the video for full-screen. The book "How to Start Your Own Forex Signal Service"
Get a book and invaluable BONUSES worth €300 EUR! 1) A 45-minute video training to teach you and explain the big picture of how I sell my FOREX products and services online. In this video I describe 5 mandatory components of a successful online business and 4 different methods to deliver FOREX trading signals / trades. 2) An eBook that explains how to open the same trading positions on several accounts at the same time by simply trading one MT4 account. This eBook teaches you how to copy & share Forex trades with your friends, family or your clients. Excellent for beginners. It’s been 16 years since we first started offering Forex education, which later included Forex signals, to Forex traders all over the world. All I can say is “If only this book was available then, it would have saved me thousands of dollars and you can’t even count the savings in time”. This book is absolutely superb and covers perfectly from A – Z everything needed to know about starting an online Forex service. It covers every aspect involved in setting up a Forex business and sending Forex signals, and the information is especially valuable these days with the explosion of popularity in automated Forex trading. This book is an absolute must-have for anyone looking to enter this field, and specifically, getting involved in online Forex signals. Rimantas's "How To Start Your Own Forex Signals Service" book is the most complex book about forex signals service problematics I have ever read. This book is useful not only for traders who want to start a signal service, but also for those who have already started one and want to fine tune their ongoing business. If I had this book before, it would save me a lot of hours and months of collecting information about forex signals services. This book will guide you step by step from scratch, revealing the pros & cons, as well as what you can expect from a forex signals service. Great job! This book is very detailed and can open your eyes because it explains everything on how to start a forex signal business from A to Z.
I knew Rimantas from a few years ago. He is a perfect combination in this forex industry--a programmer, entrepreneur and a forex trader. He can explain this business very well. This book is highly recommended. The book “How To Start Your Own Forex Signals Service” by Rimantas Petrauskas is really the first of its kind in this area and is packed with a deep knowledge of all aspects that it takes to start up a Forex Signal Service business. Rimantas clearly shows in his step-by-step guide that basically everyone is capable of setting up this kind of business with the right skills and tools. The book covers not only the hardware and software components of the FX signal business, but also stresses the importance of becoming or hiring a good trader, creating your own website, and being active with online marketing. As a professional Forex and equity trader myself, I enjoyed reading the book immensely. If you are thinking about getting started with a signal service yourself, get this book and do everything right, straight from the beginning. This book saves you time, money, and prevents you from committing common mistakes. I have never written a testimonial before, but what prompted me to decide to write one for Rimantas is because of his professional ethic, outstanding Forex coding knowledge, and importantly integrity. Rimantas has repeatedly demonstrated these to me during projects he helped me on. He walks the talk. 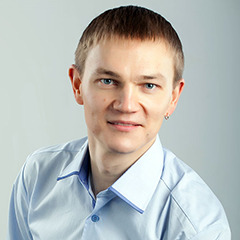 Honestly speaking, initially I was reluctant to write a testimonial for Rimantas, not because of doubt in him, but because he has such a great talent in trade copy / Forex marketing / EA coding (which he has shown through his products, Forex tools, LTC and RTC) that I wanted to keep it secret. Nevertheless, we know to become better persons ourselves, we should celebrate success by sharing openness to learn and therefore we will also grow and improve faster. In this book, Rimantas not only shared about how to start your Forex signal business, but also offered very good suggestions about SEO and different marketing approaches. These subjects are important in building an online business so even if you decide not to start a Forex signal site, you should still be able to learn something from this book. Simply put, I have no doubt in recommending Rimantas (ea-coder.com) if you are looking for Forex tools to assist in your trading and related online businesses such as trading signal service. Rimantas is one of the very few people I would trust in doing Forex business with. A road map for building a fully-automated trading signals business. Why struggle to learn this business yourself when you can have an experienced signal provider show you all the ropes. The exact same steps used to build and run a successful Forex signal service business. These steps are very important to the success of your new business. Details of the many ways to find profitable sources for trading signals that you can sell to your customers. Using just one of these methods can help increase your monthly cash-flow. Time and money saving strategies that cover everything from A – Z of a signals business. These will help you get up and going in less time than going at it on your own. All you need to know about starting an online Forex signal service. This will save you potentially years of struggle in trying to figure out things yourself. How to start your own website and what software you will use to deliver trading signals. These are great gems that can help you turn a profit much faster and easier. What different methods you can use to run this business. It is important to use this information to get the right start from the beginning and avoid all of the most common newbie mistakes. How to create financial freedom and help others around the world with your business, just like I did. This is a reward of its own and one well worth the read. Even if you are struggling right now and have no money to invest in your own live trading account, you can still build a successful trading business. You will be able to start earning income with just your demo account by using the information and roadmaps provided in this book. Rimantas Petrauskas is the author of the book "How to Start Your Own Forex Signals Service", a Forex trader, programmer with 16 years of experience, entrepreneur, founder of www.ea-coder.com as well as the www.vavatrade.com and creator of two of the most popular trade copiers for the MetaTrader 4 platform—the Remote Trade Copier and Local Trade Copier. He has been creating software for currency trading and signal delivery since 2009, and has created hundreds of trading robots for his customers. Although he did not test or use any of them himself (as that would violate customer agreements and copyrights), he developed a good understanding of what people were looking for the most in Forex.